Curry’s sea-level rise study disputes climate-disaster predictions – In many cases, ‘half of the sea-level rise is really from land sinking’ | Watts Up With That? Then again, Ms. Curry is accustomed to making waves. The former chair of the Georgia Tech School of Earth and Atmospheric Sciences, she represents one of the biggest names on the so-called “skeptic” side of the climate debate, the counterweight to Penn State climatologist Michael Mann, who leads the “warmist” camp. She argued that a more appropriate estimate would be about 0.2 to 1.5 meters, or six inches to five feet, and that anything over two feet is “increasingly weakly justified.” Mean sea level has risen by about seven to eight inches since 1900. By lending her prestige to the sea-level debate, she could chill the rash of lawsuits filed by cities and counties in California, Colorado and New York—as well as the state of Rhode Island — calling for oil-and-gas companies to pay billions in damages associated with future coastal flooding. “That’s really underappreciated, this whole issue of problems with coastal engineering that we’ve caused that have made things worse,” Ms. Curry said. 1. Whether recent global sea level rise is unusual. At least in some regions, sea level was higher than present around 5000 to 7000 years ago. within the range of natural sea level variability over the past several thousand years. warming, relative to natural causes of global sea level rise. such a fingerprint on sea level rise associated with human-caused global warming. relative to local vertical land motion and local land use practices. problems, notably landfilling in coastal wetland areas and groundwater extraction. 4. The amount of sea level rise (global and local) projected for the 21st century. of sea level rise and projecting future climate change and sea level rise are well recognized by the international community of climate and sea level researchers, as summarized in the World Climate Research Programme (WCRP) Grand Challenges. December 28, 2018 in Sea level. Thank you. That torqued me too. The word “model” was there but it came from the lips of Michael Mann. Not surprising, as all the alarmism is driven by fantasy models, while the scientific data is firmly on the side of the sceptics – at least the data that hasn’t been tampered with. The great think about models is that, by suitable programming, you can get any result you want. But that’s not science – it’s trickery. 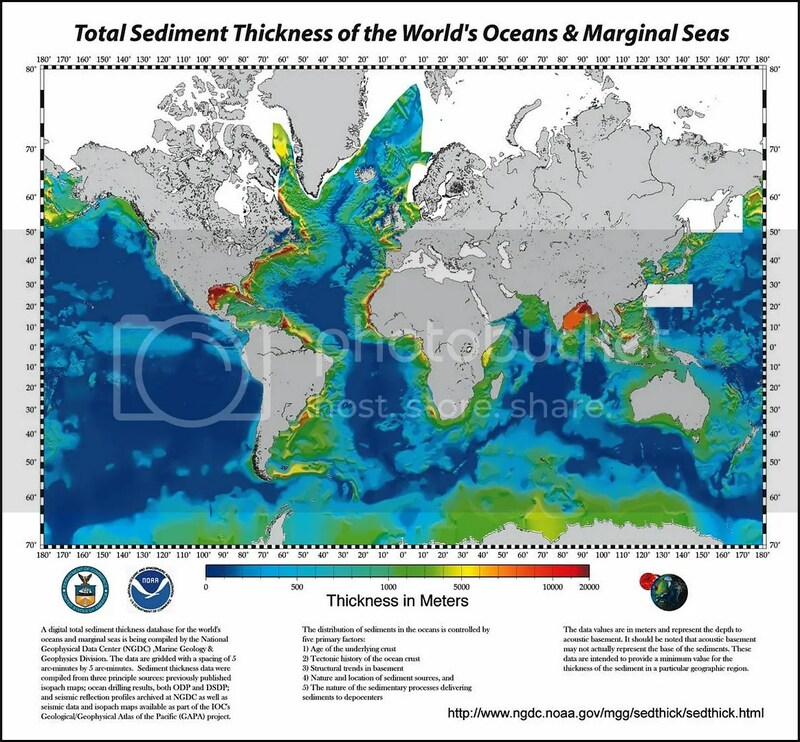 As all of the continents erode away, the sediment eventually ends up in the oceans. Surely some geolog8ists must have come up with an estimate of the rate of sedimentation in gigatons or cubic kilometers per year, to derive an estimate of the rate of sea level rise that caused by sedimentation in mm/year … right? Yet hardly anyone talks about erosion and sedimentation as a contributing factor in the rate of sea level rise. If the average worldwide SLR is roughly 2 mm/year, it is not hard to imagine erosion and sedimentation being a significant proportion of that SLR. Ahhh…Duane. Time to feed the troll. I suspect you are assuming the “shape of the oceanic bowl” stays constant (It doesn’t). As Dr Curry stetted, half the rise is due to land sinking. It was also pointed out the sea level has been rising & falling for thousands of years; for the past few hundred years, it’s rising (no, this didn’t just start in 1979)..
Javert Chip, I read articles and some thoughts posted here and think Duane is asking a good question. This has been partly answered below by Teddz. I can’t help out with any science but just note that I learnt a long time ago that asking questions is useful in getting answers. Since I can’t help with any thoughts about the science in this article I will leave it at this and stop trolling. Sedimentation is the #1 coral killer…. Erosion is to rocks as melting is to glaciers (just a whole lot slower). First of all, knock it off with your “trolling” commentary, which is nothing but juvenile ad hominem. I posed a legitimate scientific question, and it is one that you totally whiffed on because of your inability to read and understand English and understand science. I am a confirmed climate alarmist skeptic, so in other words, up yours! To your point about the ocean bottom surface profile, yes. the shape of the ocean bottom surface profile constantly changes due to plate tectonics, certainly, and that too would effect the rate sea level change. Oceanic vulcanism is another factor. My point really is that there is not a single “cause” of sea level change, as the Climate Alarmists like to charge – i.e., melting of glaciers due to global warming from increases in atmospheric CO2 – but I rather expect there are multiple causes of sea level change that have no relationship whatsoever to atmospheric carbon. Second melting of mountain glaciers. Variable land retention of water is quite small and difficult to access. Whether you think this is caused by increasing CO2 depends on whether you think it produces warming. Sea-level rise isn’t the only thing that has Venice’s famous canals rising ever-so-slightly every year: The city is also sinking, a new study shows, in contrast to previous studies that suggested the city’s subsidence had stabilized. The study’s findings also showed that the Italian city is slowly tilting slightly to the east, something scientists had never noticed before. Official climate science corrects sea level rise by 0.3 mm/year for overall sinking of the ocean basins. This occurs because ocean basins rose when much ocean volume was transferred to land, causing that land to sink. This correction is separate from individual tidal data corrections for local or regional vertical land movement. Agree that Duane’s question is an interesting one. And why the hell would you “correct” sea level rise by 0.3mm/year for sinking of the ocean basins?! If the ocean basins sink, the sea level rise, RELATIVE TO THE LAND, will be LESS, not more, and it’s the sea level relative to the coastline that is the supposed “concern.” The only reason to “correct” the “sea level rise” to make it seem (relative to land masses, which is what matters) like it is MORE is nothing but an effort to spread more Eco-Nazi propaganda to make it seem like “its worse than” it actually IS. The GIA (glacial isostatic adjustment) of 0.3 mm/yr is ADDED to satellite measured data because the major intent of satellite data is to measure the increase in sea volume. Although sinking ocean basins lower the sea surface, measured satellite data on sea level increases do not reflect the increased ocean volume and thus added water. Tidal data acquired at seashores are more concerned with ocean level relative to those shores, not overall ocean volume. IF the GIA is added to original tidal data (typical only when many tidal data are averaged), it is for the purpose of comparing with satellite data, and thus distorts the relation of sea height to individual seashores. The PURPOSE of tidal and satellite sea level data differ in important respects. See my response at bottom, if you are interested in the answer rather than just spouting off. While we are at it, what is the volume of water removed from the worlds aquafers? Most of that is also in the oceans. On another laptop I’ve done the calculations and estimates of land erosion and deposition in the sea, but can’t locate it right now. From memory it’s not far off the usual sea level rise. The main sources are from rivers. There was a blip in sediment flowing into the oceans in the 50s and 60s when a large chunk of the world went on a dam building spree. Those dams slowed down that rate of transport and the flows resumed again in the late 60s and that sort of matched sea level rise changes. There’s a staggering amount of earth blown into the Atlantic from Africa each and every year as well as about 50,000 tons of space dust. The specific gravity of an average rock compared to water is about 2.4, or something like it. What I was unable to calculate (and as far as I have been able to ascertain no one else has) is how much tectonic movement contributes to sea level rise or fall. All the scientific papers say that they “balance out”. I question that. That might be true over the period of a few hundred thousand years, but it cannot be seriously regarded as “fact” for a period of as little as a thousand years. The East African rifit valley is being formed by a few thousand miles of East Africa shuffling along into the Indian Ocean at the rate of 6 to 7mm a year with no water filling in the void it’s created. “Balance” is too convenient. I will look for those figures (that came with sources). Let’s start with some nitpicking. I guess that your assumption is that silicate rock erosion is negligible, but even carbonate rock would be about 2.6 specific gravity. Saharan sand must be primarily silicate around 3, and I’d think that space dust would tend closer to iron (7.8). To be conservative let’s assume space dust has the same density as the average density of earth or about 4.5. If so, 0.05 Gt of space dust displaces a volume of water weighing 0.011 Gt. I have no idea if your estimate of the amount of space dust is accurate but if it is, we could conclude that space dust is not a measurable factor affecting sea level rise. You don’t define how much is a staggering amount, but estimates I found in https://www.researchgate.net/profile/Kerstin_Schepanski/publication/307744342_Mass_deposition_fluxes_of_Saharan_mineral_dust_to_the_tropical_northeast_Atlantic_Ocean_an_intercomparison_of_methods/links/5862365c08ae6eb871aaf742/Mass-deposition-fluxes-of-Saharan-mineral-dust-to-the-tropical-northeast-Atlantic-Ocean-an-intercomparison-of-methods.pdf?origin=publication_detail have the upper limit on total source mass of Saharan dust as 5000Tg/yr or 5Gt/yr. At sp.g. 3, that’s equivalent to 1.7Gt of meltwater. Of course, not all of the dust falls into the ocean. For context, the total mass of the ocean is about 1,400,000Gt. So 1.7Gt represents 0.00012%. Current measured sea level change is also very tiny compared with the total mass and volume of the ocean. We are talking about maybe 2 mm or a little more of measured sea level change when the oceans on average are thousands of meters deep. I’d like to see a scientific analysis of the contribution of erosion and sedimentation to measured sea level rise … it could easily be significant compared to the measured change of 2 mm per year. Similarly, a study of how plate tectonics and ocean vulcanism affect sea level change is necessary. The point is that the climate alarmists don’t want to answer such inconvenient questions, because the answers can only serve to reduce the theorized effects of increasing atmospheric CO2. Fair enough, Duane. If you divide the volume of 1.7Gt of water by the 360 million sq km surface area of the oceans, you approximate the sea level rise from that source. Of course, the area increases slightly as sea level rises, meaning that our estimate is a bit too high. So if all of the Sahara dust falls into the ocean (and 3000Tg/yr is accurate), it might account for half a millimeter of sea level rise per year or 5cm sea level rise per century. Based on these estimates, I would have to agree that it is possible that sedimentation is a significant factor to sea level rise. Sea level rose about 30cm in the past century. Even if only 20% of Saharan dust falls in the ocean, it is still a factor possibly accounting for ~3% of the rise. And then there would be all other sources of sedimentation. It doesn’t seem likely to be the dominant factor, but it could be significant. Space dust, though, not so much. Looks like that would account for about 0.3 mm/century. sorry, I meant 5000Tg/yr as in the earlier reference, not 3000Tg. The calculations were based on the original 5000 number. I’m sure that as others have pointed out, this is much more complex than these simplistic estimates would imply, but I also would like to say that I don’t understand why some have considered your question to be trolling. There’s no doubt in my mind that sea level rise is one of the most overhyped topics in the CAGW pantheon of horrors. I think you are off by 3 orders of size as to the mass of the ocean , last i heard it was estimated as slightly less than (but close enough to say ) 1.4 yottagram = 1.4 x 10²⁴ grams , and 1 Gigaton is billion tons or 100000000×1000000 gram = 10¹⁵ grams so 1.4 x 10²⁴ grams = 1.4 x 10⁹⁺¹⁵ grams = 1.4×10⁹ Gigaton which is 1000 x 1,400,000Gt or 14 billion Gt not 1.4 million Gt . But hat of course enhances your point that 1.7 Gt is insiginificant compared to of the Oceans total mass as it is only 0.12 ppm of 1.0%. Erosion and sedimentation is a process that is taking place throughout the entire exposed land mass of the earth … some is windborne, such as the Saharan sand and dust storms you mentioned, but water based erosion is likely the more prevalent by volume and mass. Virtually all eroded material eventually ends up in the oceans in a combination of sheet flow as well as concentrated riverine flows. People tend not to think much about erosion, because it happens so gradually. But when people look at the remnants of a vast and very tall mountain range like the Appalachians, and realize that they are but a shadow of the former mountains .. or the inspiring heights of relatively young mountain ranges like the Rockies or the Andes, and realize that these mountains too are eroding just as fast if not faster, but continue to rise due to tectonic uplift … or the vastness of eroded canyons …. or the large deltas created by the world’s major rivers … or the volume of material ground off the continents by advancing glaciers, it is obvious that the volume or sediment arriving in the oceans is definitely not insignificant, and quite likely is of a measurable proportion of current sea level change. A quick look at a satellite image of the sediment plume from the Mississippi River suggests that volume of sediment is huge. You mention space dust, i have seen estimates of the weigth gained annually by the Earth from that source allover the 1 kiloton to 200 kiloton interval which only tells my nobody has a good grip on the actual number, and most if not all of those estimates have only been trying to figure out the solids part of that equation , totally disregarding that most of the stuff arrives embedded in clumps frozen H2O that are possibly volumewise 2 to 4 orders of size greater than the solid stuff, and would most likely add a slight bit to the weight of the athmosphere in the form water vapor and even some demon gases when the ice melts on the way through it the solid bits escape the icy embeddment and reach the surface . And anyway all sea level rise from causes of this kind might probably be a good deal less than the fall in sea level caused by the amount of the sea water “eaten” by the Earth every year as some urinalist put it in headline of some silly article cited here not so long ago. First off, those things that caused the continents to rise up in the first place haven’t stopped. Secondly, if the continents were net eroding, they would be getting lighter and hence rising up, negating any sea level rise. Duane wants someone to talk about erosion and sedimentation and that has happened. Just not here and now. Meanwhile, off the coast of North America there is the Juan de Fuca Ridge and the ocean floor created there is sliding under the continent in a system called the Cascadia subduction zone. Inland from the coast are the growing Cascade volcanoes. Stuff goes down, stuff goes up. As mountains grow skyward their weight causes them to sink. Earth is constantly adjusting. Read all about it in Geology 101. Actually, just as mountains reach a rough equilibrium between uplift and erosion sedimentary basins accommodate incoming sediments by subsiding. How else do we end up with several KM’s thickness of sediments on continental shelves without which there would be no hydrocarbons? What I would like to know if “The present is the key to the past” why don’t we see thousands of feet of sediment on the ocean floors as supposedly formed to create the oil-rich sediments of Texas, Oklahoma, and New Mexico, or the various flood basalts around the world? We see nothing like them forming today. I personally cannot comprehend a volcano(s) that would pump lava over 300 miles to the ocean. The Gulf of Mexico has accumulated more than 60,000′ of sedimentary column over the last 200 million years. The Cenozoic section, alone, is more than 40,000′ thick in places. The Quaternary can be more than 30,000′ thick in some locations. Most of the sedimentary column is composed of thick, organic-rich shale. Average depth 2 miles = 3,219,000 mm. This is just like Schrödinger’s cat. Until sea level rises >X feet via ice sheet collapse the probability still exists. Yes, typical alarmist nonsense. No different to suggesting a giant meteor might hit sooner than we think, or a super volcano might erupt, etc. Like Al Gore, these false predictions are all part of his wealth creation strategy to obtain more free money from the government largesse. Or, these false predictions are part of the wealth creation strategy based on the billions to be made trading carbon credits. No CO2 problem, no carbon market, simple as that. Such predictions are not false in the sense they cannot occur. Rather, they have a very low probability of occurring in a given year. Be wary anytime you read a future prediction stated as could occur or might occur. Could and might are not useful terms in science. Much of what is possible is not probable. We are not in want of a scientist, but if you are ever in central Washington State and want a free dinner, give us a call. A fascinating map – it does pose the obvious question – why is the average greater sea level taking place on the western margins of the main oceans and not the eastern side? By extension the follow on question is why 40N & 40S exhibit greater sea level rises? The map is plainly wrong. Those increases on the east coast of Australia are only temporary at best from trade wind effect. They create ocean currents which set about reducing those SLRs almost immediately and when trade winds abate for any period as during an el Nino, the rise soon dissipates. Long term tide gauges there show virtually no SLR in those tectonically quiet areas. Highest astronomical tides measured against AHD 100 datum sea walls in those areas are still, on average, lower than they were 70 years ago. 1,6 mm/year during the 1950-now 0,78mm/year. Nice 60 year periodical levels. No correlation to any CO2 there! Published vertical land movement for Sydney is that it is sinking at 2.8 mm/year. So a change in the atmosphere from 0.035% CO2 to 0.04% CO2, doesn’t have a significant effect on the temperature of 1,338,000,000 cubic kilometers of ocean water? I am shocked! Shocked that so many “experts” would think that it would. They don’t make experts like they used to, but we still have a few. Thank you, Dr. Curry. You truly are a scientist. Try to warm the ocean volume of water with 1 to 4 W/m2 of alleged CO2 effect. IIRC, it takes hundreds of years. 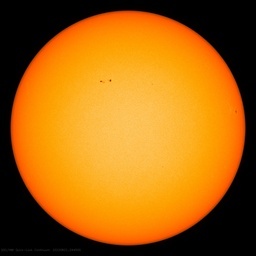 Alternatively think about warming one m2 of 4 km ocean and 100 km of atmosphere with that 1 to 4 W/m2. What does your common sense say about it? Check Argo measurements to see whether warming is happening. CO2 hypothesis says that sea levels rise due to thermal expansion of water (and melting ice). What has happened to the volume of oceans? Has it expanded? Dr Curry’s study is part of the answer. Check whether H2O in atmosphere has increased as CO2 hypothesis conjectures. If we do not have thermal expansion of ocean water, what does it tell about the alleged warming? Or is it that only the atmosphere warms at the ground level? If the ocean depths are not warming, then sea levels do not rise alarmingly due to thermal expansion. Why should mankind panic now as policy maker suggest? Thermal expansion has no tipping point. Antarctica is not melting. We have very good time for waiting and coping our local coastal problems. Well yes it would do but that’s not how it works…. That 1 to 4 W/m2 of real CO2 effect, is actually “heating” the ocean skin. It works the same way that CO2 “warms the atmosphere” – via a reduction in cooling. The ocean cools via warming the atmosphere above from it’s surface and emitting LWIR to space. As a result evaporation there causes the skin to cool. Heat moves via DeltaT (2nd LoT )- warm to cold (net). So heat below moves to the colder ocean skin, and thence to the atmosphere/space. The GHE stops the skin cooling as effectively (DeltaT reduced). Therefore less heat transference from below to the skin and from there available to the atmosphere/space. “Check whether H2O in atmosphere has increased as CO2 hypothesis conjectures. As a natural consequence of ….. Thank you. I had not seen all of these references. Which increases water vapor, which increases condensation, which increases clouds, which reflects incoming sunlight, which cools the ocean, less than it would have been. The heat content of the ocean is due to sunlight. If you slow the release of heat, in a way that reduces the incoming sunlight, you have negative feedback. And that is why there is no significant impact on the oceans. They are massive, and they regulate the incoming sunlight by turning heat content into water vapor, which then turn into clouds. When they warm they produce their own shade, and even expel heat very efficiently in the formation of thunderstorms or a tropical storms. Same as it ever was. I see the El-Niño is collapsing. Perhaps that will have an effect on the surface level in the Pacific too. So many factors, so little understanding. Thank goodness I am only 70 so I still have plenty of time to learn a bit more. Joe Bastardi says the El-Nino has slackened, but will resume in a week or two. Still, not expected to be a strong one. That was a left, right, and uppercut knockout in only 21 words! I hope she said it directly to Mann’s face. I think it would be more accurate to say “they want to be alarmists” this “political activists.” That’s more immediate. It fulfills their ego-boosting effort to pose as defenders of Gaia and as speakers of truth to power. The political effects of that posture are a secondary matter, and not foremost in their psychologies. The highest and lowest of these estimates do not have overlapping ranges, and the range of these recent values exceeds the range from the IPCC AR5. Unless I’m mistaken, if you separate the estimates that cover the same range (three cover ’20th century’ and the other three cover ‘1900-1990’), then they *do* overlap. All of these estimate ranges contain 1.6 mm/year. All of these estimate ranges contain the wide span of 1.0 to 1.4 mm/year. The IPCC range for 1900 to 1990 is quoted by Dr Curry as being ‘1.5 ± 0.2 mm/year’, which *is* within the range of recent estimates covering the same period. The other IPCC estimate quoted by Dr Curry (1.7 ± 0.2 mm/year) is for ‘1900 to 2010’, so cannot be directly compared to “20th century”; however, since this range includes 1.6 mm/year, even it is within the range of all the 20th century estimates. Not sure where Dr Curry is coming from here. Surely review will pick this up. In order to show much longed acceleration, one needs low 1900 to 1990 rise, and fast rise after that. What is Jevrejeva’s estimate for 1900-1990? Many published estimates of tidal rates of sea rise since ~1900 (and corrected for vertical land movement) suggest that the rise rate in the earlier 1900s was about 1.1-1.4 mm/yr and that slowly rose to about 1.7 mm/yr by the 1980s. Beginning about 1990, tidal gauge data (land motion corrected) suggest faster rise rates, up to ~3 mm/yr. Satellite measurements of the open ocean rise rate (very different from sea shore environments) also suggest ~3 mm/yr. 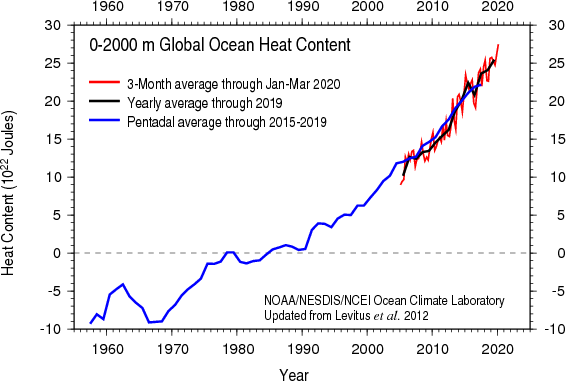 This is interpreted as resulting from increasing global temperature beginning about 1980 and the observation that ocean warming produces ~40% of sea rise. The whole question is little more than art in verbal form. Pick your variables, apply them as you think appropriate and there you have a piece of art, couched in scientific terms. Same with art: Choose your colours, apply them as you think appropriate and there you have a piece of art, couched in a visual experience. As for the value of these masterpieces? Well that is an entirely different matter. To me Dr. Curry’s contributions have great merit. The wheels are starting to fall of the SL acceleration story. I wonder what criteria businesses use to select between climate consulting services like Curry’s and Hayhoe’s. I can’t imagine the latter’s forecasts being worth the paper they’re printed on. From Hayhoe’s small client list it looks like her customers are mostly limited to democrat-controlled state and city governments, and a couple of federal agencies. It’s only useful when the worst case scenarios have a finite chance of occurring. The insane worst case scenarios used to push the global warming meme have a 0% chance of occurring with 0% uncertainty. This is what makes pushing these worst case scenarios so dangerous. A meteorite wiping out civilization, a super volcano going off wiping out millions or a new ice age burying the Northern latitudes under km’s of ice are all infinitely more probably then RCP8.5. Based on my knowledge of sealevel rise in the North Sea I predict a rise by 2100 of at most 8 inches (20 cm) and likely considerably less. The graphic accompanying this article is interesting in its portrayal of small scale features illustrating the effect of ocean dynamics on sea level. Take for example the rather large pair of rise and fall across the Gulf Stream. This probably shows an effect of a slowing Gulf current resulting from diminished trade winds in some way. This, in turn, impacts the sea level record of nearby coastal hydrograms. People will mine about 8 billion tonnes of coal this year and convert it to about 20 billion tonnes of CO2 by combustion, in very round figures. The volume of that 8 billion tonnes of coal is roughly 4 billion cubic metres. So the crust gets lighter by 8 billion tonnes, and it will rise up a little. The extra CO2 will increase the air density, so the global surface will fall a little under extra pressure. But then, a lot of that CO2 is destined to end up dissolved in the oceans, making them more dense, so they will depress the ocean floor a little, causing sea level to fall a little, except for the volume of dissolved gas, which swells the ocean and raises its level. But at the same time, the density of the air will be less than if the CO2 stayed aloft, so there are some compensatory mechanisms. The area of the ocean surface is about 360 x 10^12 m^2 and a metre thick of it weighs about that many tonnes. If we added 1 mm of water to the oceans, that would need 360 x 10^9 tonnes of water, which compares with the 8 billion tonnes of coal (4 billion cubic metres) we mine each year, meaning that if we had simply thrown the coal into the sea at that rate for 100 years, its level would rise by 400/360 mm or 1.1 mm, which is about the annual change being measured apart from the compensatory isostasy and density changes mentioned above. So maybe it is better to burn the coal, so the CO2 that is made can react with calcium in sea water and make more calcium carbonate for shells of marine organisms, with their fate to sink to the bottom of the seas and be out of the way of the mind and harm. Or some similar scenario that makes my brain hurt. I did not see calculations like this in the last IPCC report, but they seem to gallop to a different set of rules. Geoff. Florida never was ment for settlement. It was ment last resort for https://www.google.com/search?q=the+big+easy+soundtrack&oq=the+big+easy&aqs=chrome. but not for living in this everglades drowning Desaster. what about the fact that previous natural SLR happened in cycles of about 100 K years and the trend we are observing now is happening less than 20K after the last SLR cycle with atmospheric carbon concentrations similar to those observed 120 K years ago. What about the data that shows a relation between SLR cycles and carbon concentration and how carbon concentrations have peaked to almost unprecedented levels since the 50s with the peak use of fossil fuels? What about the link between global warming and land sinking as is global warming what is causing the rebound effect! what about the contribution of ice cap melting in the south poles to SLR. What are you going to believe , real data or computer projections ? This isn’t rocket surgery. When did “science” ignore “data” and believe “experts”? It was known as the Dark Ages. CNN and the NYT will be all over this. CNN and NYT will be all over this.